New Replacement Patient Monitoring for Ge Solar 8000 and More! 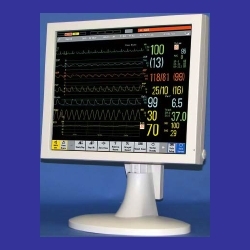 This medically certified, plug and play LCD is a cost-effective upgrade to existing CRT and LCD units. We have an extensive cross indexed database of models and manufacturers. Call us for an exact replacement that saves major $$ over the OEM price.